AquiPor has developed a revolutionary new paving product designed to infiltrate stormwater runoff without clogging. AquiPor pavers feature nanoscale material porosity, in which the material acts as a hardscape filter to remove sedimentary pollution in stormwater. Streets, sidewalks, and other paved surfaces are major contributors of stormwater runoff pollution in cities. AquiPor is advancing its technology to be a low-maintenance solution for cities and property developers to manage stormwater right where it falls. Unfortunately, current permeable pavement technologies suffer from inherent material limitations; specifically being prone to clogging and corrosion, and requiring expensive maintenance. Without special maintenance, current permeable pavement materials become ineffective in a handful of years, effectively losing their permeability. As cities dedicate tens of billions of dollars to the stormwater issue in the coming years, planners and developers are seeking effective, low-maintenance, and unobtrusive on-site drainage solutions. This is exactly what AquiPor is advancing. AquiPor's proprietary material technology filters stormwater without clogging, while maintaining high rates of permeability. With nanoscale material porosity, AquiPor pavers are akin to hardscape ceramic filters that infiltrate water while keeping micro-sediment and solids on the surface. 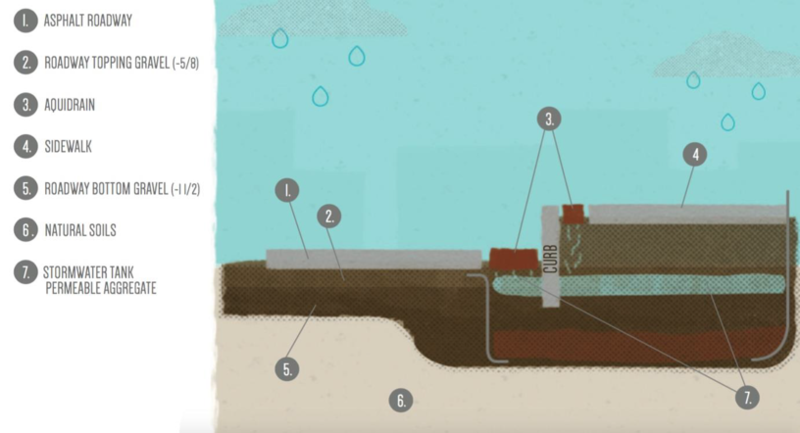 These unique filtration characteristics which prevent clogging, in conjunction with a strength and durability material profile that matches or exceeds current concrete allows the material to be applied in new engineered designs on the edge of streets to enable large-scale stormwater management. AquiPor is advancing its permeable technology product line to give developers an augmentative and low-maintenance stormwater solution, allowing cities and builders the ability to develop environmentally, without sacrificing usable space to cumbersome stormwater handling facilities. The net result is an improved bottom line per unit developed, and an environmentally responsible and unobtrusive stormwater solution. AquiPor's proprietary material mix design uses readily available materials and heat to produce an extremely strong, highly permeable end product. Manufacturers may use recycled industry “by-products” in mix designs as well as readily available compounds, opening up brand new industrial applications for these materials. With its pyro-chemical technology, the material matrix is much stronger and much more durable than traditional porous pavements. These material characteristics allow for hardscape material to be applied in new ways (such as on the edge of streets) to enable major-scale stormwater management in cities. 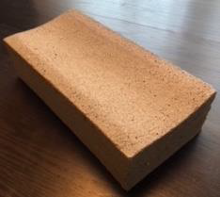 AquiPor's material matrix is also produced using a fraction of the time and energy than that of current clay brick manufacturing and end products will be marketed and sold as high margin solutions in an otherwise commoditized industry. AquiPor will brand its technology as an “inherently green” industry solution. 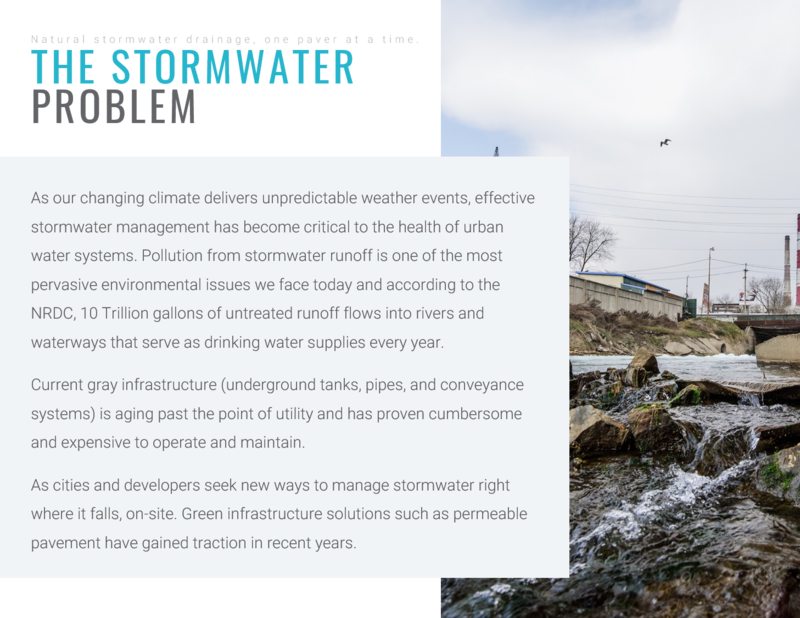 Climate change is driving demand in stormwater solutions as cities consider the risk of flooding and clean water sustainability, and both developers and municipalities are expressing interest in our solution. Exclusive patent rights have been secured in April 2018 and October 2018, with more patents pending on associated work designed to provide a full-stack solution for municipalities seeking lifecycle water sustainability. Over $900,000 raised to develop technology, and company advisors have each personally invested in the company. Advisory team consists of proven operators from construction industry and mining sector. Social demand for permeable pavement is increasing, as US municipal stormwater CAPEX exceeds $60 billion by 2026. Permeable pavements alone are expected to account for $22 billion in annual spending globally by 2026 (current market is $12 billion annually). Large licensing acquisitions of technologies in this space are occurring with greater frequency as awareness of the issue increases. Greg’s experience spans industries in both the corporate and startup world. His previous startup venture specialized in importing and selling an architectural pervious paver for high-end green stormwater infrastructure. After securing an exclusive distribution agreement with manufacturers overseas, Greg’s team landed the product on project specs exceeding $3 Million in their first year in the market. As quality control and supply chain issues eroded margins, Greg and his team pivoted and started developing their own permeable paving technology that could be patented and manufactured domestically. This would be the impetus for AquiPor Technologies. 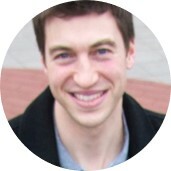 Greg has cofounded a handful of promising startups and has gained a breadth of experience regarding early-stage technology development as well as the many nuances pertaining to startup fundraising, I.P. strategy, legal and accounting, and strategic leadership. He has also been directly involved with new product launches, sales management, marketing, and product importation. 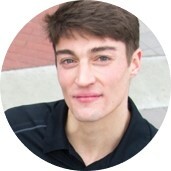 Kevin Kunz is our Cofounder & Vice President: Technology and Product Development. Kevin has prior startup experience as the former marketing and sales director of permeable pavers for KloroTech. Today, Kevin directs AquiPor’s proof of concept testing, and recently directed the standardized testing ofsil-co-sil 106 to prove AquiPor material’s filtering ability. Through extensive research and development cycles, Kevin has expertise in mix designs and manufacturing processes for AquiPor’s products. Kevin has experience in product and application testing, is very knowledgeable in the stormwater management and permeable pavement market, and has experience calling on landscape architects, engineers, and design professionals in the industry. He’s also been successful launching new products as he helped land their imported paver on nearly $3 Million of job bids in its first year on the market.